Once a property is chosen, get together with your Buyer Broker to go over the offer in detail. Offers to purchase real estate in the Capital Region are made using the same form that will become the Purchase Contract. Therefore, the offer, once accepted, is a legally binding contract. If not fully understood consult an attorney before signing. However, if the offer is fully understood it is usually signed before attorney's approval since a period of two to five days is typically added to allow both the seller and the buyer the opportunity to seek legal consul as to all matters. This allows the negotiation process to proceed to acceptance with the understanding that either party has the option of cancelling the contract within this time period. Most sellers will not consider an offer unless it is accompanied by a pre-qualification or pre-approval letter. 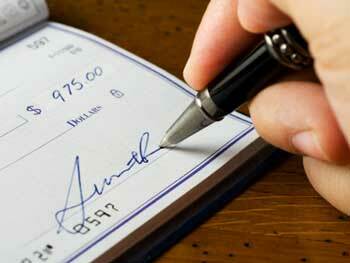 In addition, a good faith deposit is usually required with the offer. This check should be an amount at least equal to 1% of the purchase price. A larger deposit can strengthen an offer. If the offer is not accepted or the contingency cannot be met within the terms of the contract the deposit is returned. Once the offer is made the seller has the option of accepting the offer outright, countering the offer with a price and terms that would be acceptable to them, or rejecting it. If they counter the offer the buyer is not required to accept their counter offer. 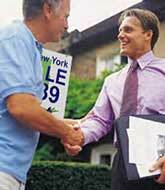 If the buyer then counters the counter offer, the seller has no obligation to accept. This negotiation continues until an agreement is reached and the closing phase begins. If agreement cannot be reached the contract is void and the deposit is returned. ¶ 20. Notice that the property is being sold "as is". ¶ 22 Addendum that are part of the contract, typically: agency disclosure, property condition disclosure, lead paint, affiliate companies, etc.